ATS 2017, WASHINGTON, DC — In a new study that analyzed data from the large French CUB-REA database, high volume intensive care units (ICUs) were found to have lower death rates from acute respiratory distress syndrome (ARDS) than low and moderate volume ICUs. The researchers also found that, overall, among the 35 ICUs in the CUB-REA registry, ICU mortality decreased despite an increase in ARDS severity. The study was presented at the 2017 American Thoracic Society International Conference. 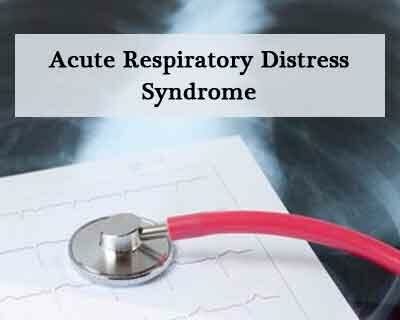 ARDS is a common disease affecting 10 percent of patients admitted to ICUs. ARDS occurs when fluid builds up in the tiny, elastic air sacs in the lungs. This buildup reduces oxygen levels in the bloodstream, depriving organs of the oxygen they need to function. Dr. Dres and colleagues looked at CUB-REA data for 316,000 ICU stays taking place between 2000 and 2014. They assessed the difference in ARDS severity using the SAPS2 scoring method, which measures the severity of disease for patients admitted to the ICU. They also looked at ARDS-related mortality for low, moderate and high patient volume ICUs. They statistically adjusted their analyses to account for severity of illness and other confounding factors. The researchers found that 18,022 ICU stays between 2000 and 2014 were related to ARDS. Overall ICU prevalence of ARDS was 8.3 percent, while its prevalence progressively increased from 6.5 percent in 2000 to 10.5 percent in 2008. Prevalence then decreased to 7.2 percent in 2014. During this time, SAPS2 severity scores increased from an average of 52 to 58 (with 52 representing a predicted 50 percent mortality rate). ICU mortality gradually decreased over these years, from 57.9 percent to 45.5 percent, and hospital mortality decreased from 59.1 percent to 48.4 percent. SAPS2 scores were highest in high-volume ICUs, while high volume ICUs had 51.5 percent mortality; moderate volume ICUs had 54 percent mortality; and low volume ICUs had 55.2 percent mortality rates. Length of stay was also lowest in high volume ICUs. “Further studies are warranted to confirm and delineate our results and determine whether regionalization of patients with ARDS should be recommended,” said Dr. Dres.